Remember the interview with Leuren Moret where she stated that the US has been doing radiation effect research for all those years (to this day) using the Japanese people in Hiroshima and Nagasaki as guinea pigs? 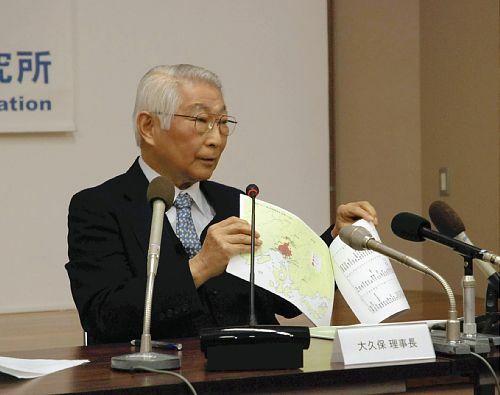 Speaking of RERF – Radiation Effect Research Foundation – which succeeded the notorious ABCC – Atomic Bomb Casualty Commission – in 1975, RERF just came up with the area map of so-called “black rain” after the Hiroshima bombing. They had the survey data of 13,000 people all along, but sat on it for 66 years. And surprise, surprise. The map shows the area where the “black rain” – radioactive fallout that fell with the rain – fell to be much, much bigger than what the government has admitted so far. On December 20, Radiation Effect Research Foundation, a cooperative Japan-US research organization (RERF, Minami-ku in Hiroshima City and in Nagasaki City) disclosed the distribution map of “black rain” that fell after the nuclear bomb exploded over Hiroshima. The map was created from the survey data of about 13,000 people who were exposed to the black rain. Citizens’ groups calling for more assistance for the bomb victims are hopeful that this may result in more areas becoming eligible for assistance. On the other hand, RERF says “There is no new discovery”, insisting [the map] would not help in understanding health damages. But it is likely that the data will be submitted to a study group of the national government, and discussions may ensue as to whether the support areas should be revised. Masaaki Takano, chairman of the Council of “Black Rain” Atomic Bomb Victims, praised the disclosure of the data as significant. He is hopeful that it will be used to expand the support areas, as the data shows the black rain fell outside the current support areas.